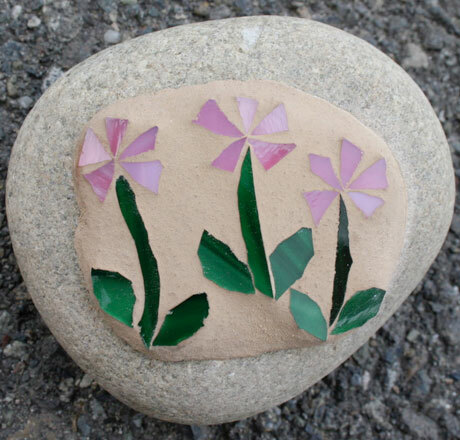 Come celebrate spring with mosaic flower rocks! These sweet little decorations will be the perfect addition to your yard. Choose from our selection of fun templates or draw your own. Mosaic your flower (or other design) using our super fun and friendly technique and we will do all the messy part for you. This is a great first project or fun thing to do with a friend. These rocks also make great gifts!